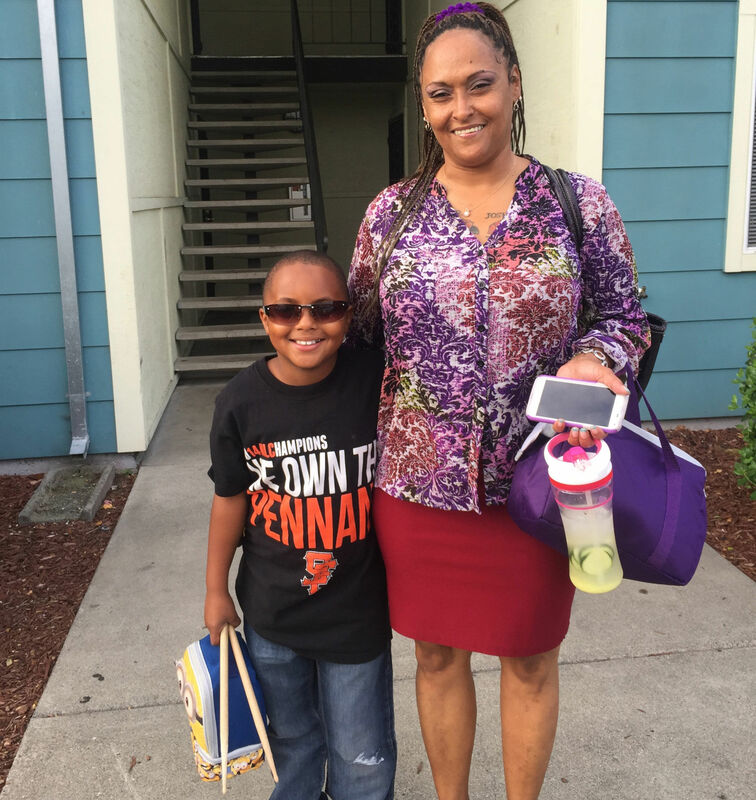 On a recent morning, Sholanda Jackson dropped off her 8-year-old son at drum lessons before heading into work at an Oakland nonprofit. It sounds like a routine day for a mom — and it is. But for Jackson, it’s also a remarkable turnaround: She spent her 20s addicted to crack and in and out of prison 13 times. Her mother gave Jackson her first taste of the addictive drug when she was a teenager. On Christmas Day when she was 18, Jackson went to jail for the first time — and she cycled in and out of the system until her early 30s, when a public defender asked if she was interested in drug treatment. Now Jackson has been sober 11 years. She’s married, living in Hayward, has earned her bachelor’s degree in social services and hopes to pursue a master’s degree. She works at Operation Dignity, which aids homeless veterans, and volunteers with Oakland Communty Organizations, helping tell people about Proposition 47 and other programs. “People said I was hopeless, right? The parole officer, the parole board, when I was in prison. They said, ‘She’s hopeless.’ But that’s not true. I don’t think there’s such a thing,” Jackson said recently as she recalled her turbulent past. Many of the changes Jackson has made are thanks to her sobriety and hard work. But she’s also getting help from a California ballot measure passed last November by state voters. Proposition 47 reduced many nonviolent felonies — such as drug possession and theft charges — to misdemeanors, and it allows people previously convicted of those crimes to petition a court to wipe those felonies from their record.